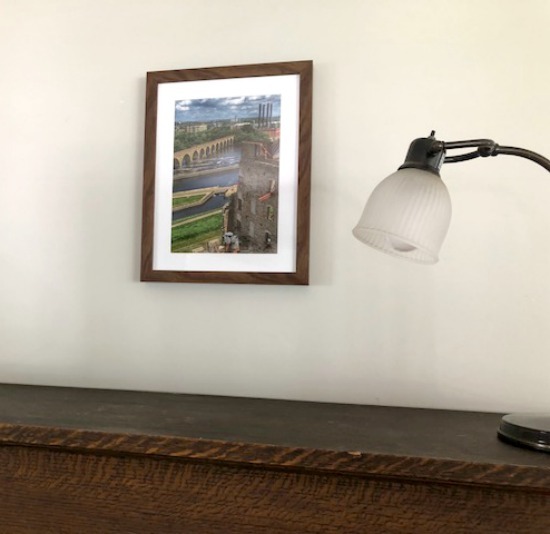 When it comes to decorating our home, I tend to pass on the “generic” pretty pictures and wall hangings and opt for things that are more meaningful. If I’m going to be looking at something on my wall everyday I want it to be something special that makes me happy and gives me reminders of special times, special people or special places. The easiest way to do this is by turning our own photos into art. 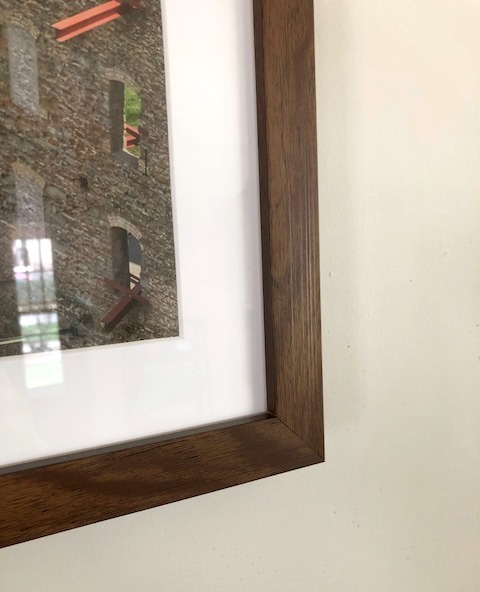 And the easiest way to turn those photos into something beautiful to hang on the wall is with Framed Photo Prints from CanvasDiscount.com. I also like to decorate with things that celebrate our home and where we live, celebrating our how much we love our city and our state. I was born in Minnesota but lived the first 15 of my adult years on the East coast. I finally got my husband to move back to Minnesota with me, but it wasn’t until last year that we moved to Minneapolis. I L-O-V-E our city and we both know that this is the place we belong. The newest thing we have hung on our walls is a photo I took even before we moved to Minneapolis. 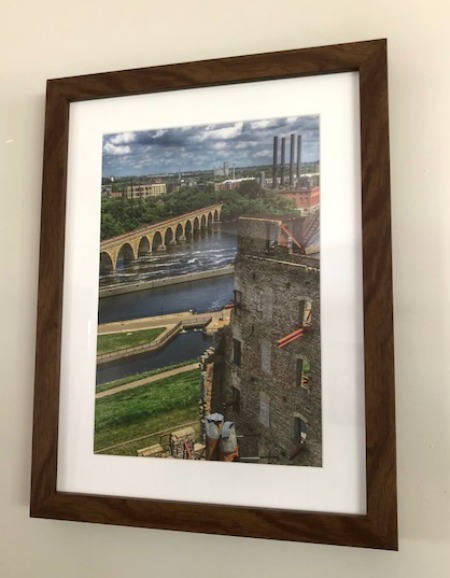 It is a photo taken from the Mill City Museum, city of one of the early flour mills that helped grow the city, with the iconic Stone Arch Bridge spanning the Mississippi River in the background. I love this area and how it reflects the city’s history – so I’m happy to have it on my wall! The framed photo print turned out beautiful. I really love the quality of the frame. You can check out a close-up below. Ready to turn your own photo into a work of art? Simply use promo code CHICNSAVVYREVIEWS to receive TWO 8’’x8’’ format canvas prints for one price – only $9 USD (meaning: you buy one 8’’x8’’ for $9 USD (its regular retail price is $49 USD) and get the other one completely for free). To activate your discount, visit CanvasDiscount.com. 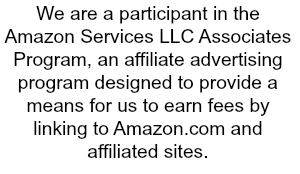 As soon as both images are successfully uploaded, you simply need to enter the corresponding code name in the coupon code section (Shopping Cart) and then your discount will apply. Offer valid until 10/31/2018.